September has brought reality back to our sunny summer lifestyle in fits and starts. We haven’t yet had a full week of school, so the transition doesn’t feel complete. But I am so thrilled to be back in business, so to speak, as fall descends and quilty activity just feels right. I have been making lots of plans for the year ahead, and I’m so excited to share them with you as I can. The first is that I’m teaching Beginning Quilting at Rock Paper Scissors in Montclair, NJ this fall. I love this class because everyone in it finishes a baby quilt that’s 40″ square (like “Positivity,” pictured above). We talk about and practice the entire process, from choosing fabric to design, cutting, piecing, walking foot quilting, and binding. If you or someone you know would like to learn the basics of quilting, check it out. We’ll have class on Monday evenings, October 5, 12, 19, 26, with one week off and the final lesson on November 9. Call the store at 973-337-6759 to sign up. The second piece of news is my new branding, a simple and stunning logo designed for me by a friend and quilty partner in crime, Daniela Di Iorio of Modern Stitch Studio. I love how the new blog header lets the work on my site speak for itself, and you’ll see it has already been put to good use on the Peek Pattern in my Etsy shop. 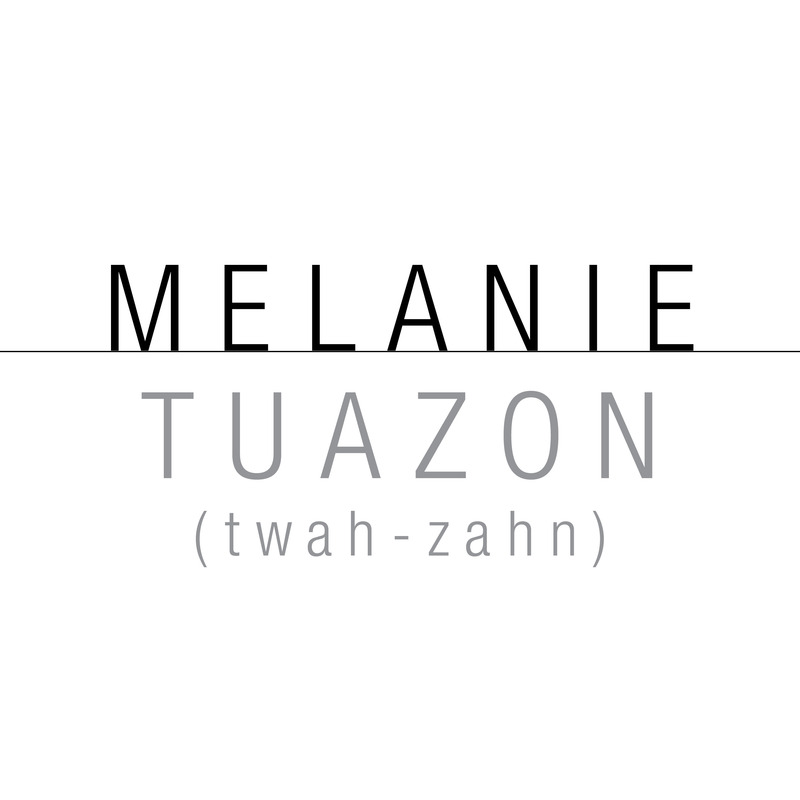 There’s even this cheeky image, which helps those who may not know how to pronounce my last name. Ha! Anyway, I’m so grateful that the site more accurately represents me and my work and excited to slap my name on everything I do. There is so much other good stuff happening, including some sewing for Cloud9 Fabrics for Quilt Market, the completion of the Ballet Bag quilt, and more Peek projects. Stay tuned and get more frequent updates on Instagram (@melintheattic). As always, this is the place for longer stories and bigger pictures. There’s nothing like a new logo to make you take yourself and your activities more seriously, and you’ve got a great logo there! I got one done for my bakery business the other day, and it’s changed my attitude to what is basically a small home business in all sorts of surprising ways. I hope it leads to great things for you. Thanks, Kate! Yes, isn’t it great how such a little thing can help you see yourself in a different light? And hopefully show others that side of you too. I hope your new logo does exactly the same thing. So exciting. Your new look is wonderful! It has been fun to watch you grow and expand your dreams in this wonderful world of quilting. Wishing you continued success. I love your new logo to pieces! Daniela did a fab job (as always). So happy for you and can’t wait to hear all about this session of your class! I really love how crisp and clean your new header and logo are. I loved it when I saw it change on Facebook yesterday. 🙂 The beginning quilting class sounds wonderful, I hope you and your students have a lot of fun together. It looks great! And the class sounds like fun to teach!